Floriday.co.uk - Universal to Make Special Announcement on January 25th - Florida Holidays, Disney, Universal, SeaWorld - The best of Orlando! Universal Orlando will be making a Special Announcement on Wednesday regarding some of the new experiences they will introduce during 2012. Via the company's Official Facebook Page, Universal Orlando is promising its fans “ALL the details about ALL the amazing new experiences starting with hints & sneak peeks leading up to the big announcement” next week. Beyond Despicable Me and Spider-Man, we know Universal will soon be debuting the Hollywood Drive-In Mini Golf being constructed in Universal CityWalk. 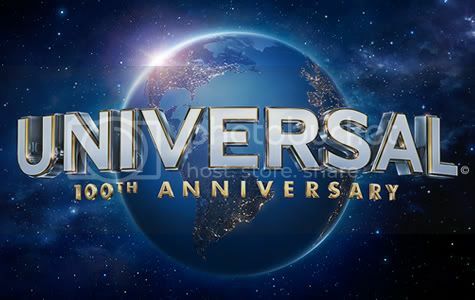 For their 100th anniversary, the original Universal Studios also revealed that part of the celebration will be announcing a new “entertainment experience” for Universal Orlando – the same wording used to describe next week’s webcast. It is likely that the new experience is the rumoured lagoon show for Universal Studios Florida, possibly based on Universal Studios’ vast history of films. It has also been hinted that a new parade is being developed for Universal Orlando, a topic that should be discussed during the webcast. However, Universal Orlando has confirmed that the replacement for the Jaws ride will not be part of the announcement. Universal Orlando recently confirmed a major expansion of the Wizarding World of Harry Potter, but that topic may not be visited during this announcement webcast, as it seems to specifically be focusing on items that will debut in 2012, not beyond. Check back here on Wednesday for a round-up of all the news from the Universal Orlando Announcement!